Love your home? Of course you do. That's the way it should be. But, did you ever go into someone's home and think: "I could live here if only . . ."? Go ahead -- fill in the blanks: If only it was more modern; If only the lighting were better; If only it felt more open and spacious; if only it weren't so cluttered. You get the idea. Naturally, you want the best features of your home to stand out to potential buyers, while diminishing possible drawbacks. In short, you want prospective buyers to love your home as much as you do -- perhaps even more! 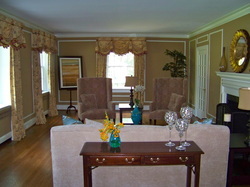 That's what Charm City Staging is all about: Staging your home for a faster turnaround, at the highest possible price. We help potential buyers picture themselves living in your home, moving them toward the next logical step: Their decision to buy. With over eight years of experience in Home Staging and with a vast range of price points, we fully understand residential architecture and can skillfully enhance the CHARM and desirability of your home. Staging your home prior to putting your house on the market is one of the most important decisions you could make. Repeatedly, a Staged Home sells in less time and often for more money then a home that has not been staged. Don't be one of those owners left wondering. Rearranging, removing clutter and excessive personal belongs, while accessorizing your space, will add a great first impression and a lasting memory to prospective buyers. Statistics show a buyer will often purchase a staged home over one that has not been staged, because the staged home is positioned more favorably in the buyer's mind. Care for some examples? Check out our portfolio page. Home Staging isn't just for someone selling their home. It can be an alternative more affordable approach to interior design and redesign. More times then one can imagine, we've been asked to help a client design their new home. And on a few occasions, we've had clients decide to stay put after we've re-designed their home. 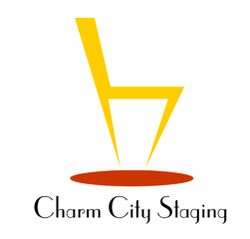 Charm City Staging can help you. Take a look at at our Staged for Living Portfolio.